OAP Freeze almost collapsed after a friend sent him this photo he spotted in Ibadan. 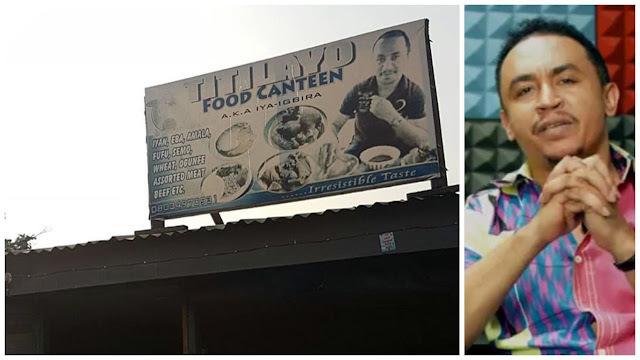 Picture shows a billboard with Daddy Freeze surrounded by plates of amala, repping for Iya-Igbira Titilayo's food canteen. Yeeeepa! Mogbe! A friend just sent me this! Modaran! Ibadan people have killed me finally ooooo ha! 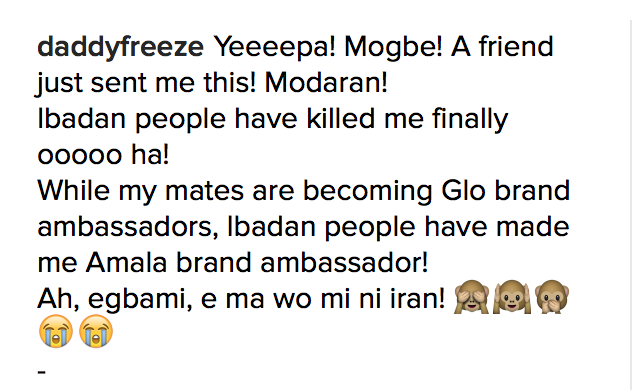 While my mates are becoming Glo brand ambassadors, Ibadan people have made me Amala brand ambassador!